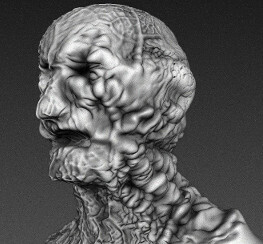 Made in Mudbox 2017; in universe it's a 3D-MRI representation of an infected subject, so the physicians can use a computer to study the infection without getting their hands dirty. What do you think? I hope you like it. I've recently taken up 3D modelling.